Back in mid-March, it was widely reported that The Maze Runner: The Death Cure star Dylan O'Brien had been seriously injured on set and that production had come to a screeching halt. No full details have ever been disclosed about the accident. But it is being reported today that the actor is healing well. And production on the 3rd and final Maze Runner movie should be back up and running this May. While the accident hasn't been disclosed to the public in full, Dylan O'Brien is said to have suffered a concussion, a facial fracture and several lacerations from a motorcycle stunt that went horribly wrong. Co-star Giancarlo Esposito, who can be seen in next weekend's The Jungle Book and later in this summer's Money Monster, spoke with E! Online about the on-set accident. He explains. "He's healing very well. He got put together a couple of weeks ago... he's one tough cookie. He got his bell rung. I would imagine many who witnessed it thought that was it...[But] he's a survivor. The one good thing about Dylan that I think is going to help him get back on schedule with us very soon is he has a great attitude." Dylan O'Brien was rushed to the hospital shortly after the accident occurred. Shooting was taking place in Vancouver, British Columbia. 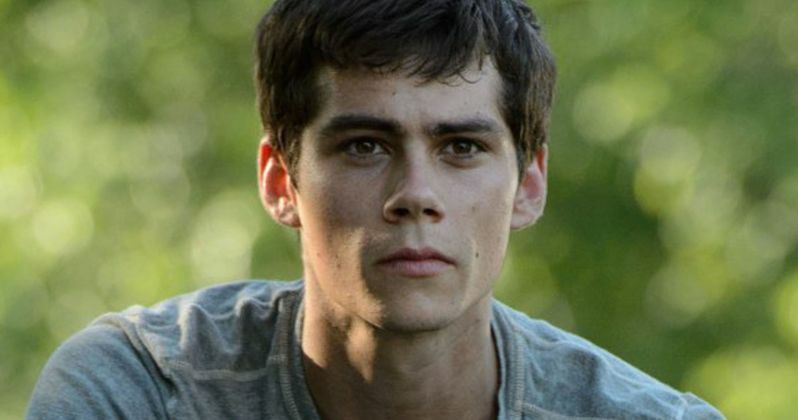 Production was suspended during the actor's leave of absence, as he is the main star of the movie, and appears in most of the scenes in this final sequel to the Maze Runner trilogy. Shooting on the movie is expected to resume on May 15. Dylan O'Brien is expected back on set in the next 6 weeks. Director Wes Ball, who has helmed all of the movies in this series, had this to say. "I've been overwhelmed with feelings of anger and sadness and guilt. But, ultimately I find myself left with a deep love and respect for Dylan. He is one tough cookie. I'm sorry for the grief this accident has caused his friends and family as well as my wonderful cast and crew." The Maze Runner: The Death Cure is still scheduled for release on Feb. 17, 2017. At this time 20th Century Fox has not announced a new release date. It does not look like the accident has cost the film a loss in production time, and once everybody returns to set, everything should get back on schedule as planned.